Since entering the conservation scene in 2007, N/a’an ku sê has been building a rock solid reputation, not only among international conservationists but also among local and international travellers and animal-lovers alike. N/a’an ku sê has become a household name, even more so with the publicity that came with Angelina Jolie’s support. The organisation has continued growing from strength to strength. The San represents one of the oldest cultures in the world. 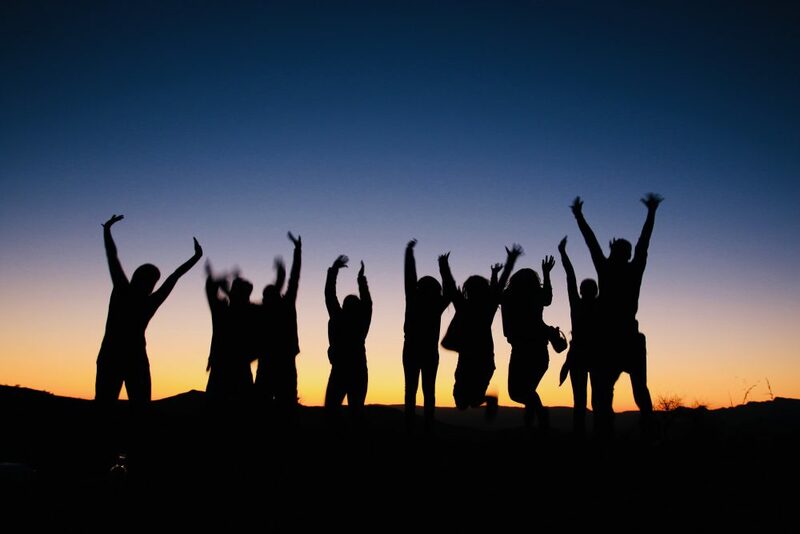 With an Ancient Skills Academy Tour, you can turn the bush into your school. Learn all about the veld, how to light a fire with traditional fire sticks, to make a bow and arrows, or create jewellery and crafts. 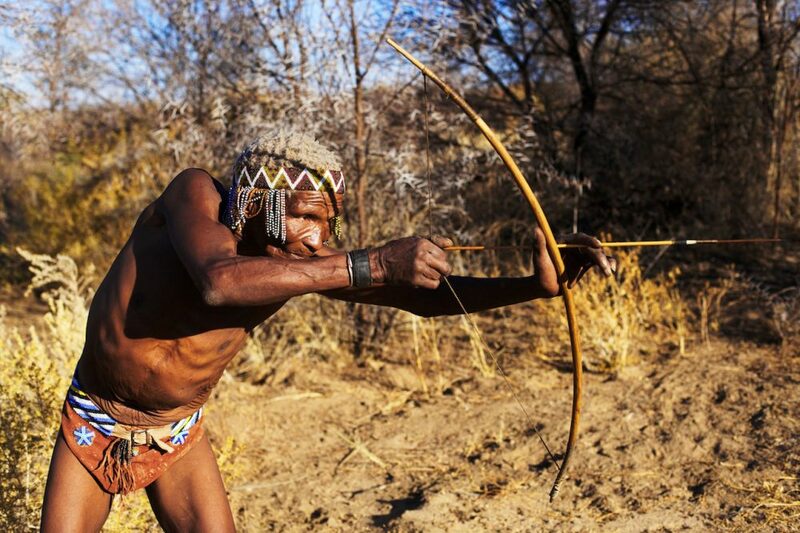 Visitors can even take part in a traditional San hunting expedition. A whole new world opens up once you gain insight into the San’s world. 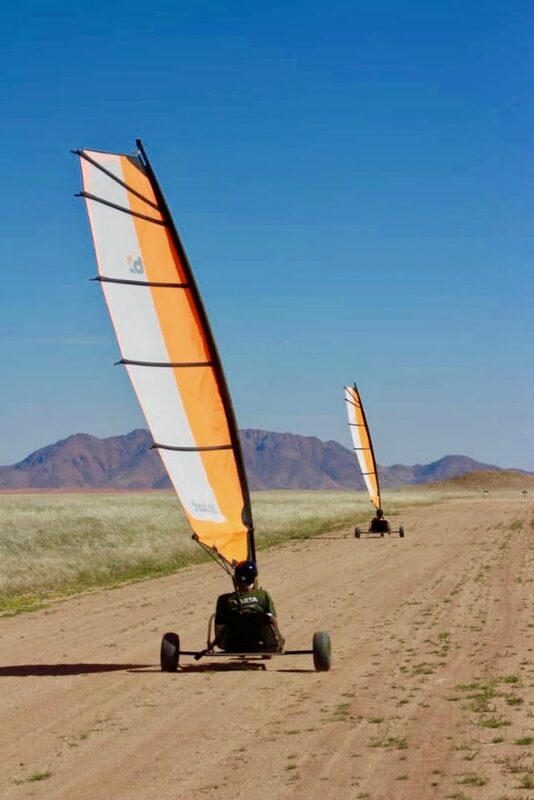 Only in Namibia! What is more, this is one activity that is exclusive to Kanaan. The vast spaces of the desert landscape penetrate the mind and soul with its unthinkable beauty. But this “nothingness” also offers so much possibility for adventure. These carts are 100% powered by the wind. 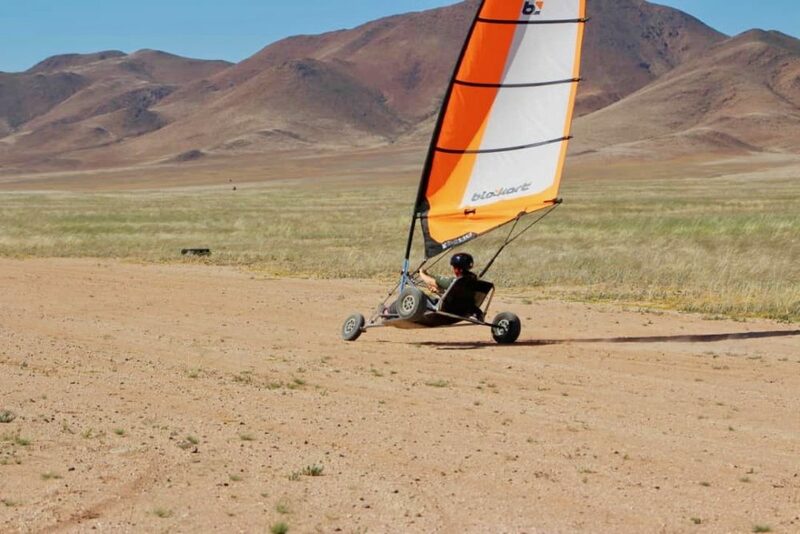 Set sail in the desert! The Taste Academy is a popular event caterer in the capital city. 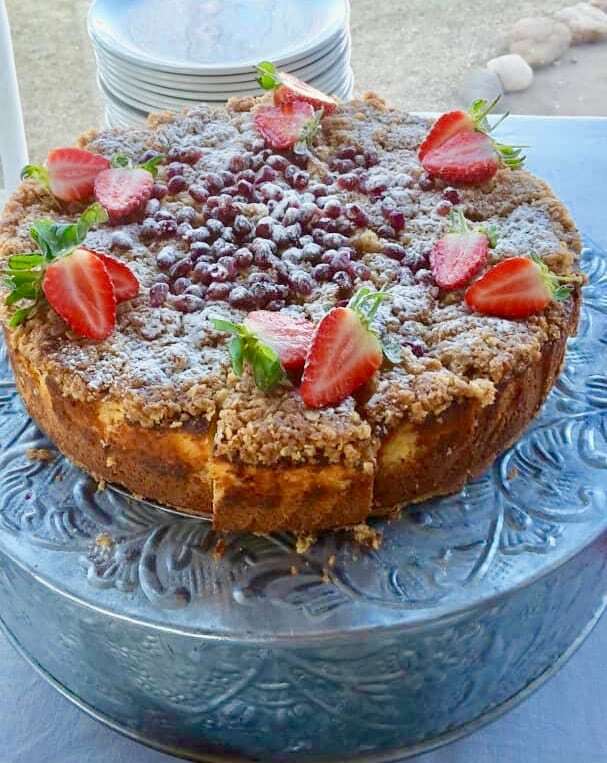 Situated on the Utopia Boutique Hotel premises, they serve delicious food to the public, while also offering cooking classes to interested foodies. The Taste Academy is famous for wine and chocolate tastings, coffee-making sessions, entertaining and informative evenings with masters of the trade, as well as cook-alongs. Let your taste buds do the travelling. The word “oasis” has become clichéd in travel magazines and brochures, mainly because most destinations, no matter how breathtakingly beautiful, are no actual oases. But at Neuras Wine and Wildlife Estate, you will find an oasis in the truest sense of the word. 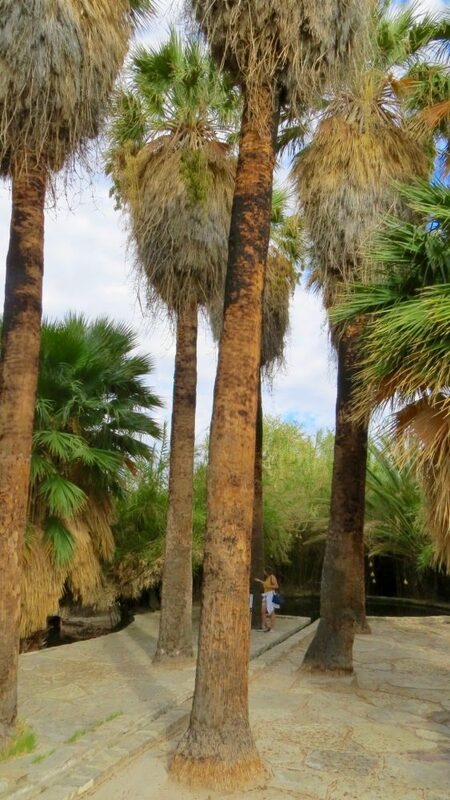 Right in the middle of the desert lays a geological fault that has resulted in freshwater springs. 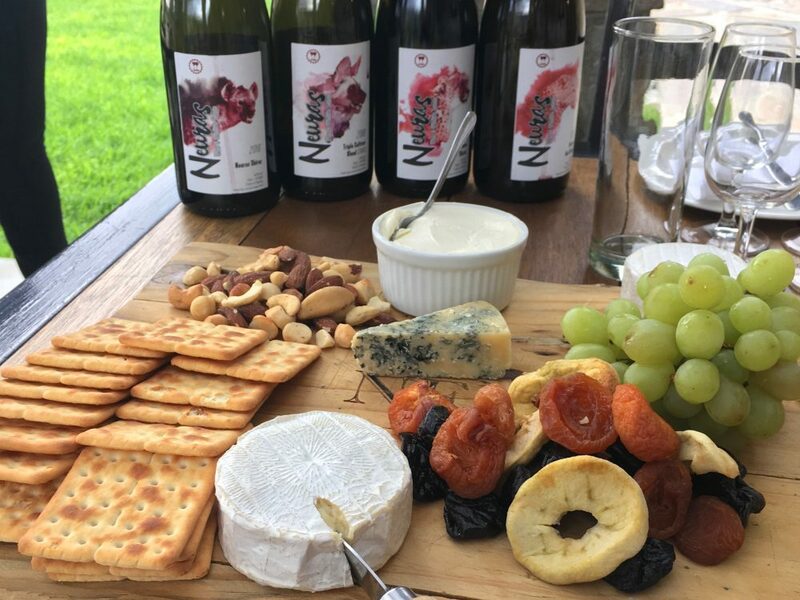 The combination of readily-available water and alkaline soil means that Neuras is also the only wine estate in the Namib desert. You have to sip it to believe it! This activity is ideal for passionate animal lovers keen to get to know the workings of a wildlife reserve and sanctuary. Your guide will be Marlice herself. Enter the riveting world of N/a’an ku sê, get to know the adorable animal orphans and bond with baby baboons. 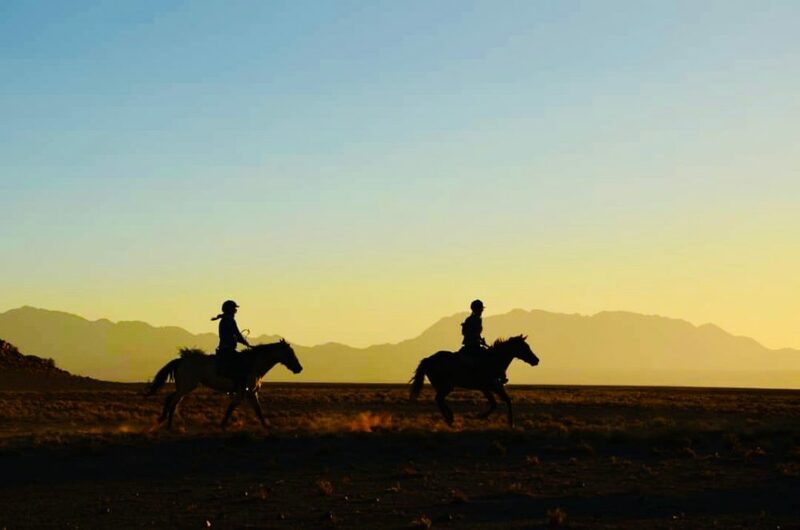 What could be better than discovering the world’s oldest desert on horseback? Freedom, for some people (like me), is the view from between the ears of a horse. Just you and your horse galloping into the neverending horizon. The wild belongs in the wild. And therefore no one is allowed to pet the resident cheetahs of Neuras. But guests can still experience these animals up close. 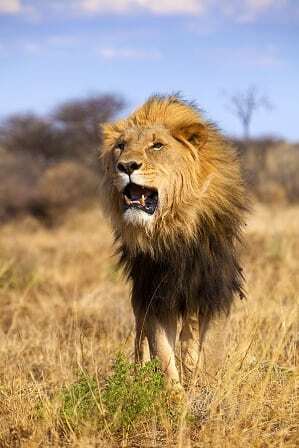 Take a drive to the huge enclosure where visitors are taken to the open-air platform for a wild encounter. Meet six rescued cheetahs that can no longer be released into the wild, as they are habituated, or used to humans. That makes them even more vulnerable to humans. Extra camera batteries required! A carnivore feeding is a great introduction to all that N/a’an ku sê stands for. 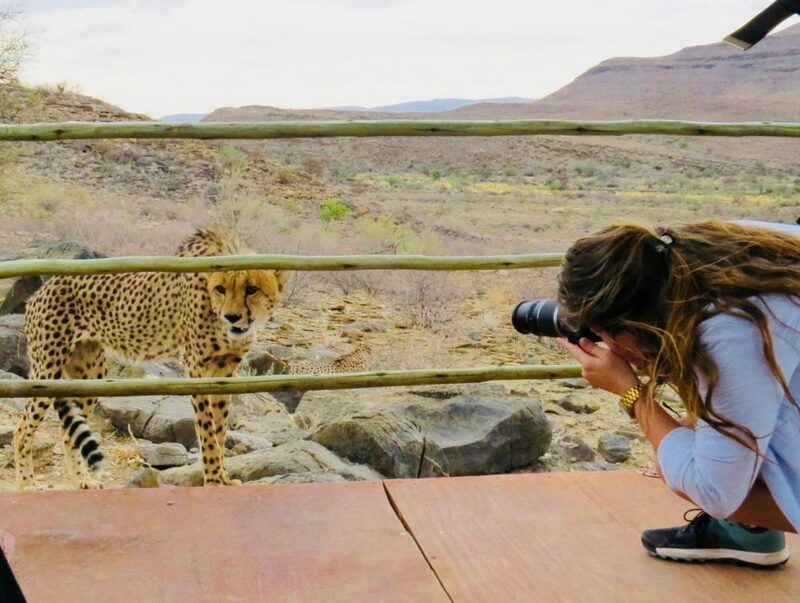 The activity starts with a scenic tour of the property and leads all the way to the baboons, caracals, lions, cheetahs, African wild dogs and leopards. 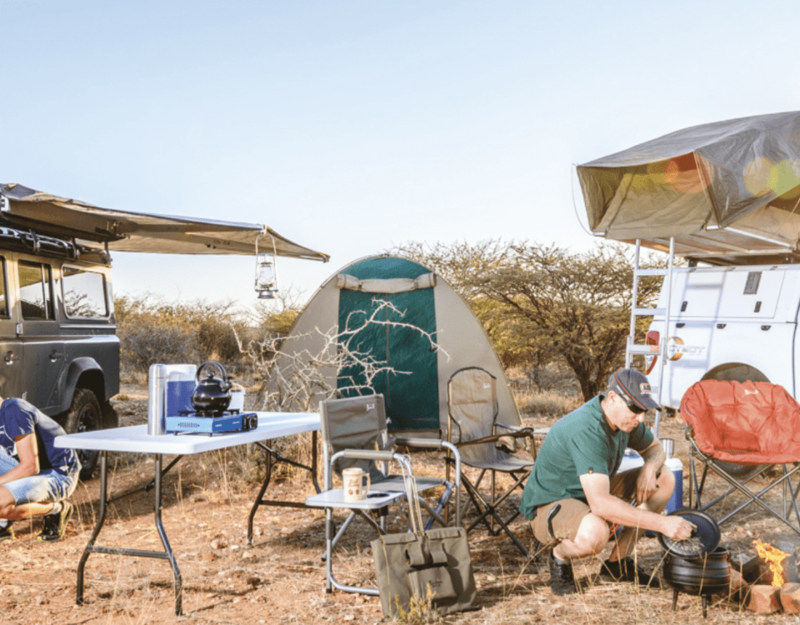 Experienced guides share insights and stories while undertaking the task of a carnivore feeding. This is your chance to snap a few stunning photos from up close. A desert cheetah walk is unique in many respects. First of all, cheetahs in the desert? Say what? 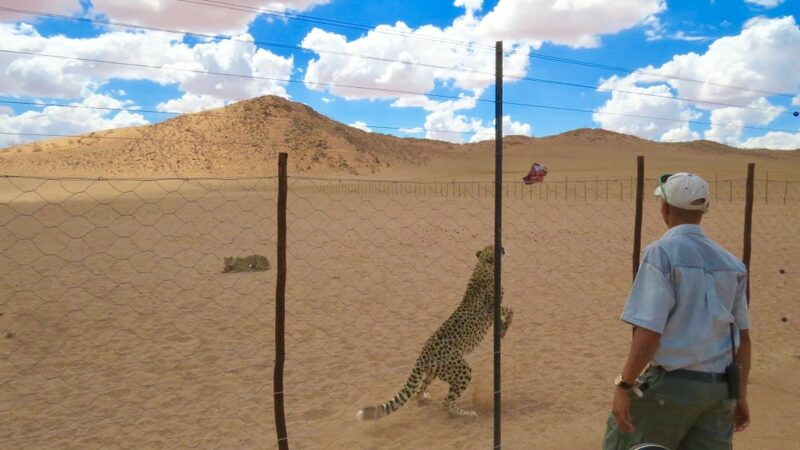 The desert-adapted cheetahs of Kanaan are conserved in their natural habitat – the desert. Guests get to experience a feeding on foot, a mind-blowing experience, though 100% safe in the capable hands of knowledgeable guides. And while the cheetahs dig into their lunch, the completely fenceless experience makes for the best pictures. Guests can become part of the N/a’an ku sê conservation story! Activities vary from establishment to establishment. Some guests even opt to volunteer at all three of the above-mentioned wildlife establishments, to get the complete conservation experience in different parts of the country.